Jasmine Price in Drama on 3 February, 2017. ‘The audience are not always meant to settle in’. 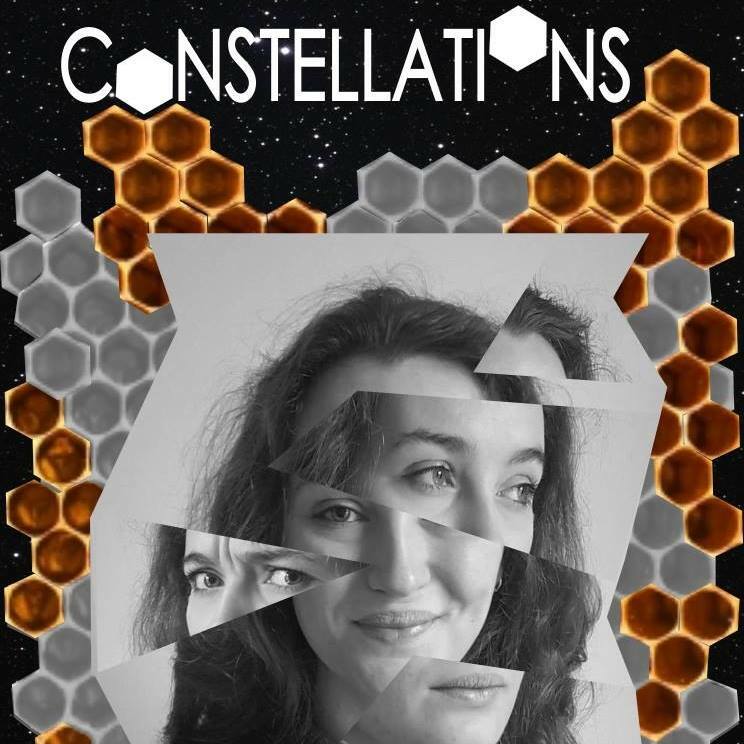 The first decision I had to make when starting rehearsals for the LTC production of Constellations I had just cast was whether I was going to highlight a particular story line, or rather story lines, within the multitude of short scenes and snapshots that the play encompasses. Past productions of Nick Payne’s play had chosen to highlight certain timelines as canonical, but I preferred to leave the question open ended. After all, there seemed no need to canonize in a play whose world(s) are governed by predestination, chance, free will, or an amalgamation of all three. I also wanted to preserve what I believe to be the playfulness of Payne’s script. Giving the audience a theme to cling to or a defined narrative to follow would have ruined the personality it held for each individual viewer. Instead, by leaving the question open-ended I hope I have allowed for the audience to make their own connections between scenes. There is no doubt that the play is a collage and therefore cannot function with the causal plot flow afforded to most scripts. As Marianne says, ‘There’s no linear explanation, I’m afraid’. All music, staging and lighting choices have reflected this eclectic nature. Perhaps if you haven’t come along to The Assembly Rooms yet it might be best to skip this paragraph, simply because its can be undermining to have theatrical decisions put into theoretical terms before they are actualized on stage. The play’s soundtrack, a collection of love songs from all different eras and genres, is used largely for transitions. As in keeping with the rest of the play, this means that they are intended to drift the audience softly from one universe to the next, or snap them out of committing to a certain scene for two long. They add to the romance of the play, and the meta-theatricality that sometimes comes with this romance, but also act as a reminder that this is not your everyday, warm, About Time Rom-com. The audience are not always meant to settle in. I took a similar approach to the staging of the play, which sometimes indulges the scene which is taking place and aligns the actors more directly, or breaks them apart, or plays with a combination of both. The mirrors, placed upstage of the circular thrust space act not only as an aid to this staging, multiplying the amount of sightlines available to audience members, but also reflect the infinite nature of this play. There is no one way of looking at it. Of course, I had to acknowledge that this approach asks more from an audience. To be constantly looking forwards, backwards, jerked from scene to scene can certainly be unsettling in performance. Therefore, to find a constant in the play I looked to the characterization of Rachel (previously Roland) and Marianne. It is at this point which I cannot stress enough how much Izzy Mitchell and Annie Davison have brought the production to life. It has been their detailed commitment and investigation of their respective characters, and different versions of these characters, that has been the life blood of this play. That they manage to ground these two characters in their imperfections, Rachel’s childishness or Marianne’s lofty confidence, and then tweak the foundation of said characters for each new scene is no mean feat. I feel that the chemistry between the two of them is what brings warmth, and hope, to an otherwise pretty bleak outlook on relationships. They bring the love and humanity into a play of scientific precision. Finally, I must address the casting decisions I made. The play, originally a heterosexual love story between Roland and Marianne, became the story of Rachel and Marianne when I knew that Mitchell and Davison were the best people for the job. Making Mitchell play Rachel as Roland seemed out of the question, seeing as the love story functions seamlessly outside of the originally assigned genders and sexualities, and lesbian relationships are already under-represented in Durham theatre, and perhaps in theatre nationwide, anyway. The conversion was aided by gems in the script, plot twists which became juicer and added further dimensions with the exploration of sexuality. It’s interesting that as a play that prides itself on exploring all realities and universes, Payne’s production had been otherwise a little heteronormative. This process has been a massive learning curve and exciting process for me as a director (who is currently only on her second show). To have the benefit of two such wonderfully talented actors to bring my ideas to life has made this production one I’m very proud of. I hope you’ll have the time today or tomorrow (3, 4 February) to come along to the Assembly Rooms Theatre and have a peek into what we’ve been working on for the last couple of weeks.